In this four-lesson unit and culminating performance assessment, students will examine and analyze several historic maps of the era representing both the cultural perspectives of Euro-Americans and American Indians. Primary sources, including maps, a video interview, objects, and other documents, will be examined. Students start by mapping their neighborhood, then organize and compare historical information from maps using diagrams and charts, and, finally, in the role of a park ranger, develop a presentation on the characteristics of Euro-American and American Indian maps. Through this investigation students will come to the deeper understanding that a map tells us a great deal about its maker. Please note: This unit assumes that students know the "basics" of the Lewis and Clark expedition— dates, the Louisiana Purchase, major geographic features of the territory including rivers, terrain and mountain ranges, current states comprising the area of the Purchase, etc. 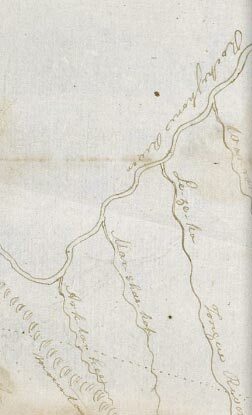 A map tells us about both the land being described and the mapmaker. What can maps tell us about places and the people who make them?